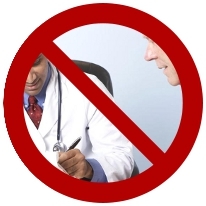 A report from the IMS Institute for Healthcare Informatics discloses that Americans made less visits to the doctor last year and used prescription drugs less often, despite 34 new medicines introduced by the drug industry in 2011. The research group’s study indicates that many Americans appear to be rationing their medical care as a result of difficulties in paying for it. It also notes that generic drugs are now dispensed 94% of the time when available, a dramatic increase from 2010. Electronic prescribing not only increases a practice’s efficiency and helps safeguard against drug interactions, it can also reduce patients’ costs by substituting generic drugs. Physicians may also find that practice management systems such as Medisoft, Lytec, or Allscripts MyWay help streamline and cut costs for their practices, aiding them in getting paid more quickly. Microwize Technology can facilitate a complete implementation.